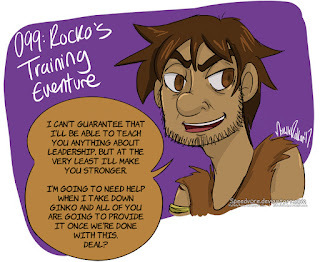 These Eventures were both introducing different aspects of Harukame's past, and ultimately introducing Rocko (though he's been mentioned a couple of times prior). 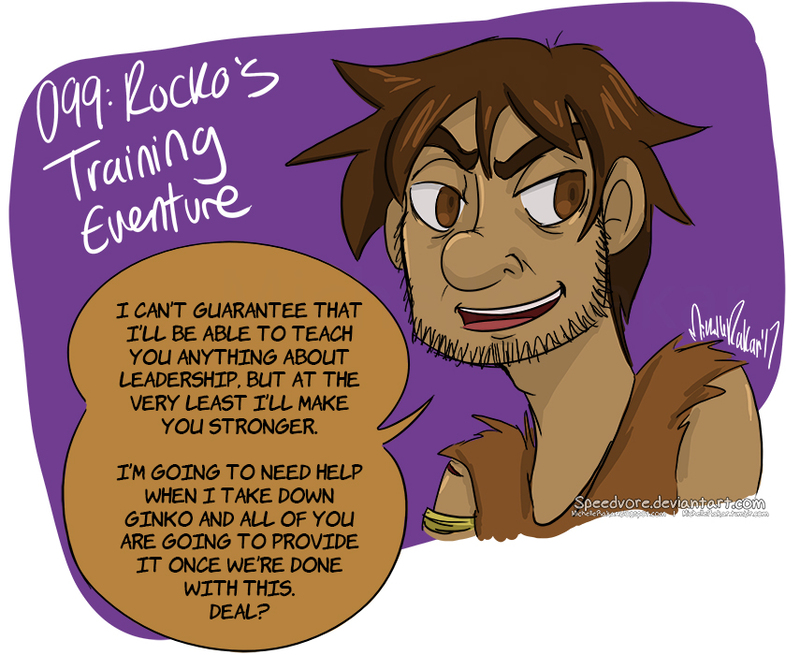 Rocko agrees to train The Nays to become World Leaders as long as they help him fight against Ginko to win back PS World. 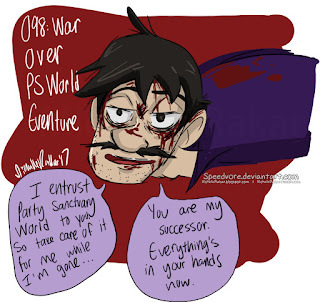 After the war between PS World and Mr Dude World, Harukame entrusts his World to Gair. 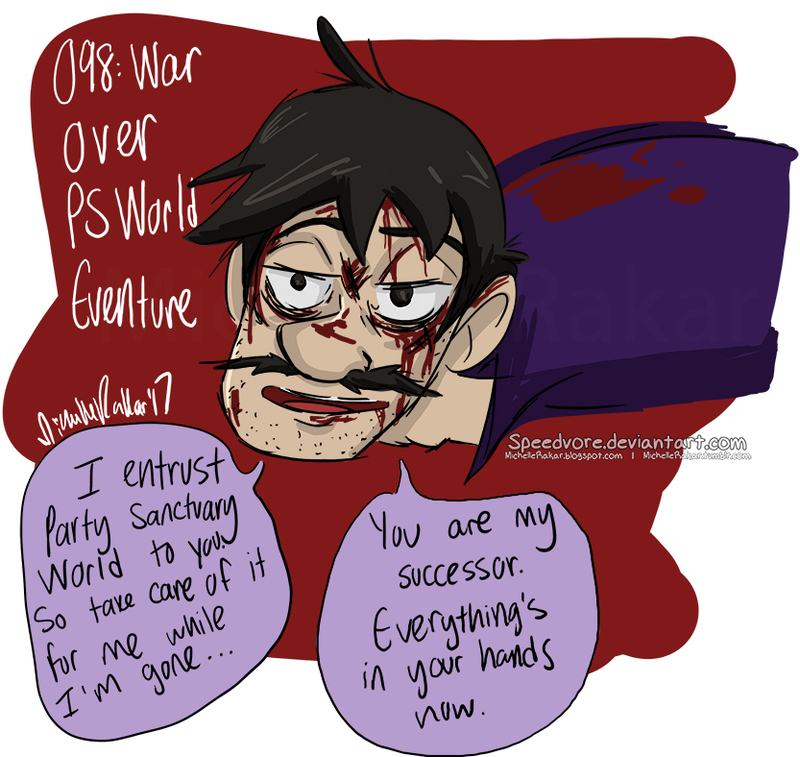 Final Eventure Doodles for awhile! End of the Preliminary World Leader Exam! Start of the Preliminary World Leader Exam!